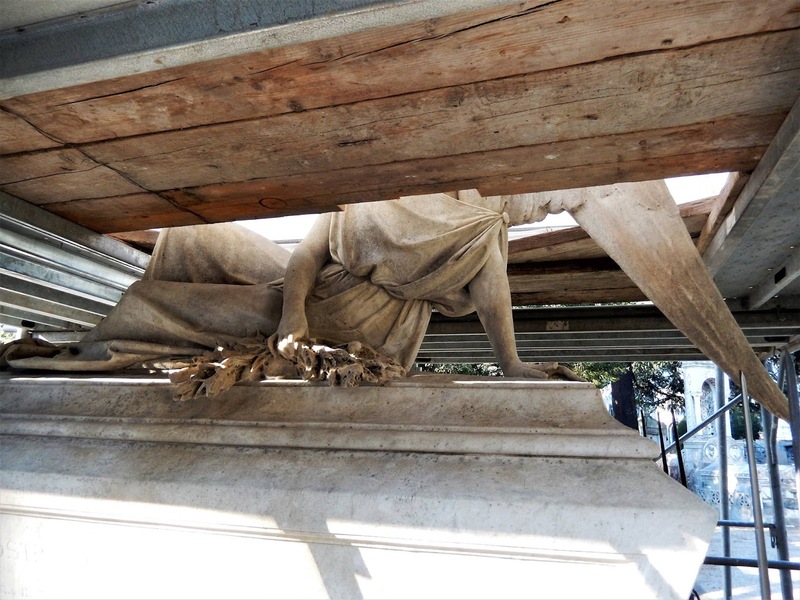 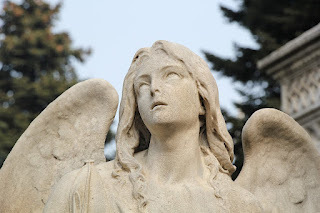 Amici del Monumentale proudly announces the completion of the first restoration work, entirely financed by the Association with a fund-raising auction of modern works of art donated by contemporary artists and contributions from families of important sculptors as well as private citizens. 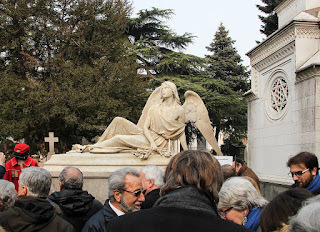 Saturday, 18th February 2017, the Keeper of the Grave by Luigi Buzzi Giberto was presented to authorities, family descendants and citizens back to its original splendor. It was the first monument placed at the Monumentale in 1866 to celebrate Nicostrato Castellini, who signed up for Garibaldi and died during the 3rd Italian War of Independence leading his battalion against the Austrian army. The restoration work took two full months of hard and passionate work performed by the experienced team of Studio Restauri Formica coordinated by the architect Mariacristina Sironi. 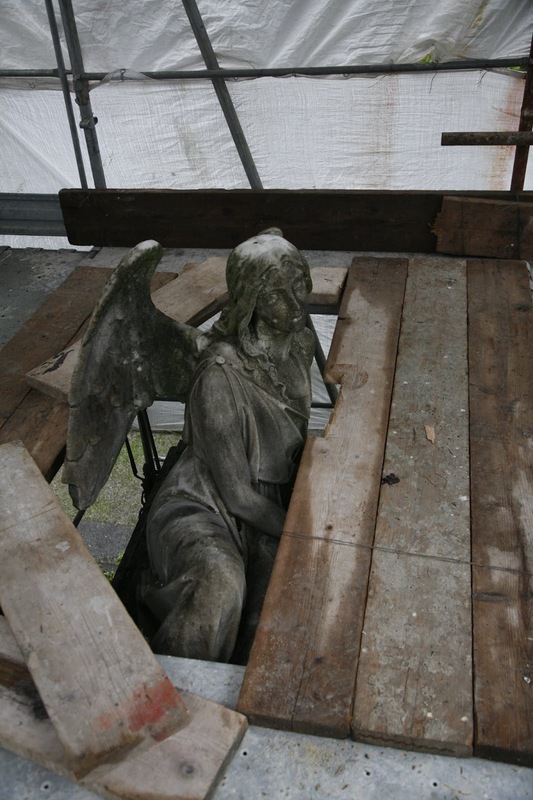 The monument was extensively deteriorated by rainwater and biological action of bacteria, the angel statue showed a broken wing and finger. 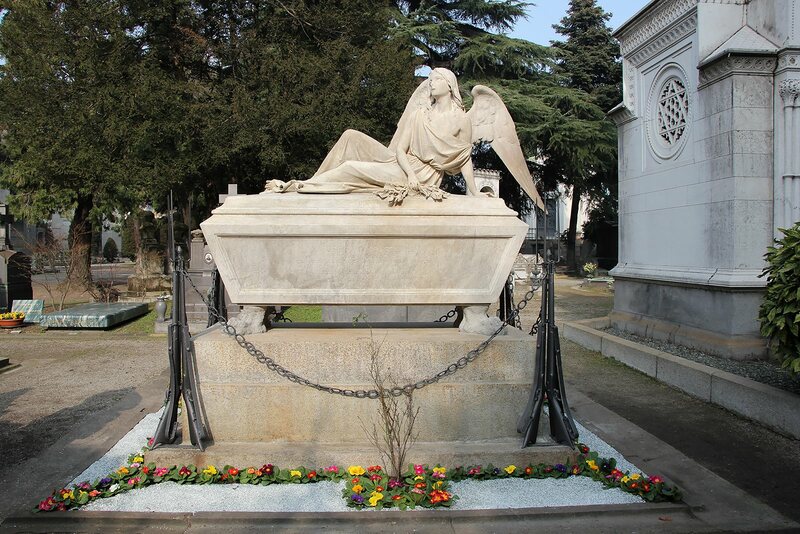 The inscription of the sarcophagus was illegible. The iron rifles surrounding the basement were rust-covered.